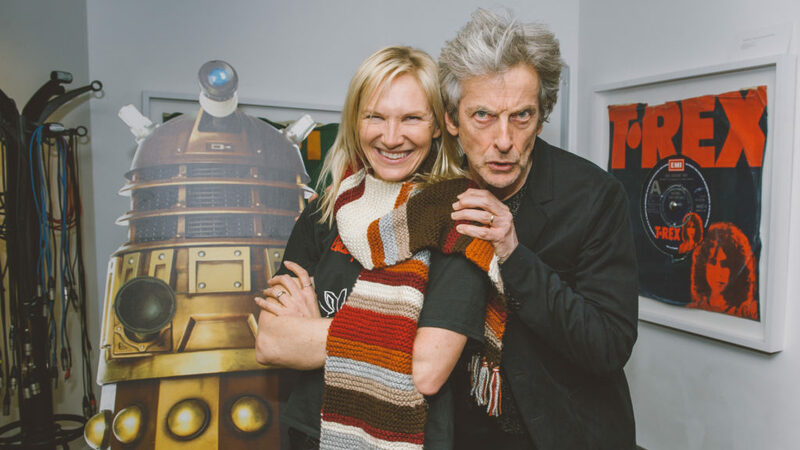 The actor was speaking with BBC Radio 2’s Jo Whiley during a special Evening in with Peter Capaldi when he revealed that he had decided it was time to say goodbye to the Whoniverse. “For years before I ever imagined being involved in Doctor Who, or had ever met the man, I wanted to work with Peter Capaldi”, departing Doctor Who boss Steven Moffatt said in an official statement. 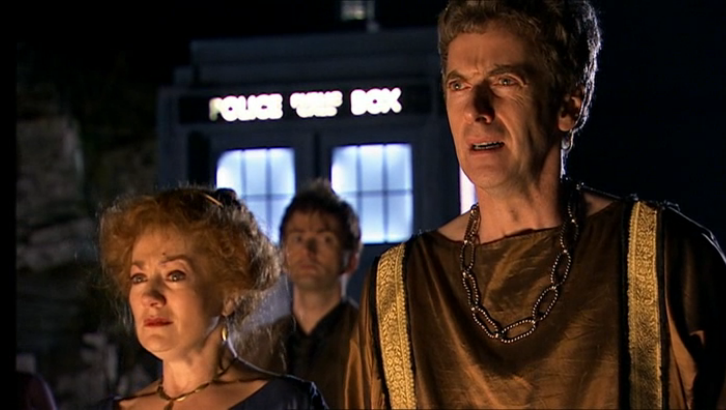 “I could not have imagined that one day we’d be standing on the TARDIS together. Like Peter, I’m facing up to leaving the best job I’ll ever have, but knowing I do so in the company of the best, and kindest and cleverest of men, makes the saddest of endings a little sweeter” Moffatt added. Capaldi’s last season as the twelfth Doctor will start in April, which will also be Steven Moffat’s last season as show runner. Just over one year ago we got the news that Chris Chibnall, creator of Broadchurch, will be taking over for Moffat. If Capaldi follows the pattern of Matt Smith and Jenna Coleman after they left Doctor Who, perhaps he will take a leading role in a drama about a member of the British royalty. Tom Magliozzi, one half of the wisecracking Car Talk duo known as “Click and Clack the Tappet Brothers,” has died after complications from Alzheimer’s Disease. He was 77. “I have the sad duty to report today that Tom Magliozzi, one of the hosts of Car Talk, passed away this morning due to complications of Alzheimer’s Disease. The two retired in 2012 and their show continues to be played in reruns. 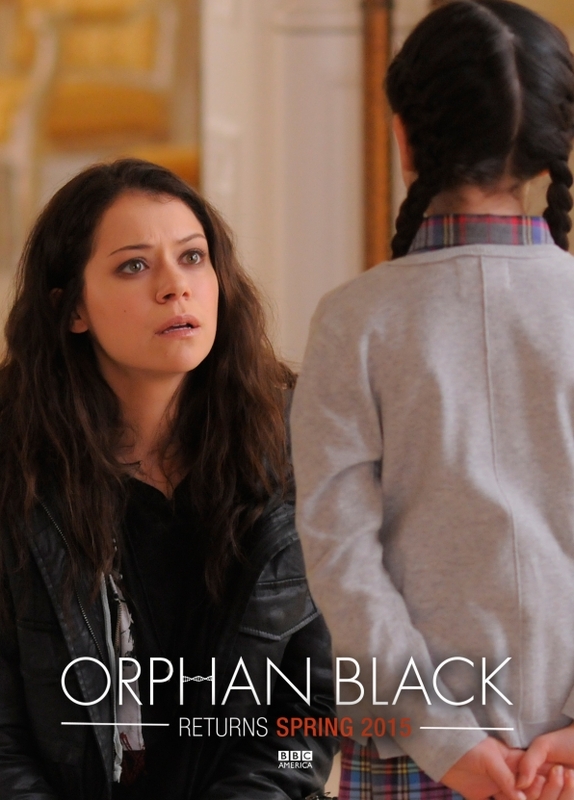 BBC America has announced that Orphan Black has been renewed for a third season. 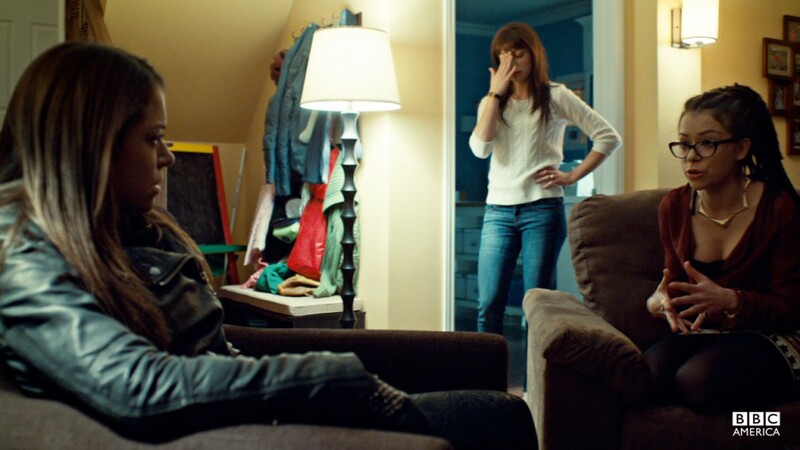 Filming begins in September with another ten episode season starting next spring. Now hopefully Showcase will have a similar announcement in the near future regarding renewal of Continuum. BBC America has also announced that Broadchurch will be returning for a second season. In addition to David Tennant of Doctor Who reprising his role, Eve Myles of Torchwood will be joining the cast. Presumably in response to Republican scare stories about Medicare cuts to Medicare Advantage plans and insurance company lobbying, CMS has announced an increase in payments of 0.4% in 2015, in place of the expected 1.9% rate cut as of February. This negates a distorted Republican attack that Obama is cutting payments to Medicare. The proposed cuts were to what is essentially corporate welfare for insurance companies running Medicare Advantage plans. The plans increased payment compared to what it costs to care for similar patients in the government Medicare plan. Republicans have included the same cuts which were previously proposed by the Obama administration in their proposed budgets despite faux attacks against Democrats for cutting Medicare. Today, the Centers for Medicare & Medicaid Services (CMS) issued the 2015 rate announcement and final call letter for Medicare Advantage and prescription drug benefit (Part D) programs. The announcement sets a stable path for Medicare Advantage and implements a number of policies that ensure beneficiaries will continue to have access to a wide array of high quality, high value, and low cost options while making certain that plans are providing value to Medicare and taxpayers. Since the Affordable Care Act was passed in 2010, Medicare Advantage premiums have fallen by 10 percent and enrollment has increased by 38 percent to an all-time high of more than 15 million beneficiaries. Today, nearly 30 percent of Medicare beneficiaries are enrolled in a Medicare Advantage plan. Furthermore, enrollees are benefiting from greater quality as over half of enrollees are now in plans with 4 or more stars, a significant increase from 37 percent of enrollees in such plans in 2013. Lower Out-of-Pocket Drug Spending: Beneficiaries in the Part D prescription drug coverage gap, or “donut hole,” will benefit from greater savings on prescription drugs. As a result of the Affordable Care Act, in 2015, enrollees who reach the donut hole will receive coverage and discounts of 55 percent on covered brand name drugs and 35 percent on covered generic drugs, an increase from 52.5 percent and 28 percent, respectively, in 2014. The Affordable Care Act’s Coverage Gap Discount Program has provided discounts to more than 7.9 million Medicare beneficiaries, saving $9.9 billion on prescription drugs, or an average of $1,265 per beneficiary. Greater Protection for Beneficiaries: CMS intends to again use its authority, provided by the health care law, to protect Medicare Advantage enrollees from significant increases in costs or cuts in benefits, and, for the 2015 contract year, finalizing the permissible amount of increase in total beneficiary cost to $32 per member per month (down from $34 per member per month for the 2014 contract year). CMS also continues to require plans to refine their offerings so that beneficiaries can easily identify the differences between their options. Increased Protections for Beneficiaries Affected by Changes in Medicare Advantage Plan Networks: The final Call Letter strengthens tools used to ensure compliance with established provider access requirements and establishes best practices for Medicare Advantage Organizations to follow when they make significant changes to their provider networks. CMS estimates that the overall net change to plan payments between 2014 and 2015 to be +0.4 percent, compared to the estimated overall net change to plan payments of -1.9 percent for the proposals in the Advance Notice Individual plan payments will vary by plan based on, but not limited to, its location and star rating. Before the Affordable Care Act, Medicare Advantage plans were paid more than 10 percent compared to traditional Medicare, costing the program more than $1,000 per person each year, while quality and health outcomes were similar to those enrolled in traditional Medicare. The changes underway reduce excessive payments to Medicare Advantage plans, while incentivizing quality improvements by basing part of Medicare Advantage payment on plan quality performance. To provide for continued stability in the Medicare Advantage program, CMS will implement a new phase-in schedule for the Part C risk adjustment model introduced in 2014. In addition, to improve payment accuracy, CMS has refined its risk adjustment methodology to account for the impact of the influx of baby boomers. In addition, for 2015, CMS will not finalize the proposal to exclude diagnoses from enrollee risk assessments. Delayed implementation of new Part D Risk Adjustment Model. Not implementing some proposed changes to the Star Ratings. Not implementing the proposal to require additional coverage in the gap for generic and brand drugs in Enhanced Alternative plans. Update II: The mainstream media is starting to pick up the news. Here are reports from AP and from The Hill. In the second of two reports of good news today, Arizona Governor Jan Brewer hasvetoed the bill recently passed by the state legislature to permit discrimination. The law would have allowed businesses to legally practice discrimination against homosexuals. I discussed the bill and conservative cherry picking of religious teachings further here. Conservatives are promoting similar “religious freedom” bills in other states. To the religious right, “religious freedom” means the freedom to impose their religious views upon others in violation of the Constitutional protection of separation of church and state which this nation was founded upon. A similar bill in Georgia is expected to be defeated. One of the ways in which the Affordable Care Act is funded is by reducing subsidies to Medicare Advantage plans which receive more money to care for Medicare beneficiaries than it costs to care for the same patients in the government Medicare program. Republicans have been using this to raise bogus claims of cuts to Medicare patients despite the fact that Republicans have also included similar cuts to Medicare Advantage plans in their budget proposals. Insurance companies have been predicting cuts of approximately 7 percent. CMS released their calculations today regarding proposed cuts for 2015 (pdf here). The current proposal is for a 3.55% cut in payments to Medicare Advantage plans, about one-half of what they have been projecting. The Republican Party was already prepared today to use this news to attack the Democrats. They do not explain why it is necessary for private companies, which any Republican believes should be more efficient than a government program, requires more money to care for patients than the government Medicare plan does. Nor do they account for the fact that most Republicans voted for the Ryan budget three years in a row which includes the same cuts to Medicare Advantage plans. 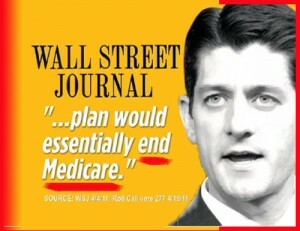 Or what about the same Ryan plan which would turn Medicare into a voucher system? Also don’t expect the Republicans to point out that, while the Affordable Care Act will cut profits to Medicare Advantage plans, it also increases benefits to Medicare patients including phasing out the donut hole for prescription drugs and covering preventative services which were previously not covered. Republicans have been trying to blame everything on the Affordable Care Act including long standing health care issues, unemployment, the poor performance of Denver in the Super Bowl, and Justin Beiber’s recent antics. Okay, I’m exaggerating a little, but to blame Obamacare for any of these problems is untrue. I’ve already discussed the false claims from conservatives that the Congressional Budget Office shows that Obamacare will increase unemployment when it will actually do the reverse and decrease unemployment. Unemployment is a serious problem but the attempts to tie it to the Affordable Care Act do not hold up. In addition to the information released by the Congressional Budget Office, the argument that employers are not hiring due to the mandate to provide insurance coverage also fails to hold up. The argument fails to take into account the subsidies which will help employers provide the coverage, along with the fact that the employer mandate had not been scheduled to start until 2015. The White House has today announced a further delay in the employer mandate until 2016 for employers with 50 to 99 employees. (The mandate does not affect employers with under 50 employees). Derek Thompson has more on the myth that Obama has been killing jobs or is responsible for an increase in part-time employment. Paul Krugman looked more at the unemployed, and how the right wing is impervious to evidence regarding government action. Steve Benen explains once again what the “insurance trap” means and why freeing people from having to keep their current job to maintain their insurance is a feature, not a bug, of Obamacare. Face it, if the conservatives don’t understand this yet, they are (intentionally) never going to understand. Update: Sarah Kliff has a good rundown of the additional changes announced today including relaxing the requirements for employees covered by large companies. The most important change is probably that volunteers won’t be counted as full-time employees. There had been some speculation that volunteers such as volunteer firefighters would be covered by the mandate, making it more expensive to use such volunteers. She also makes the valid point that, as the majority of companies offer insurance, the postponement of the employer mandate won’t affect very many people. 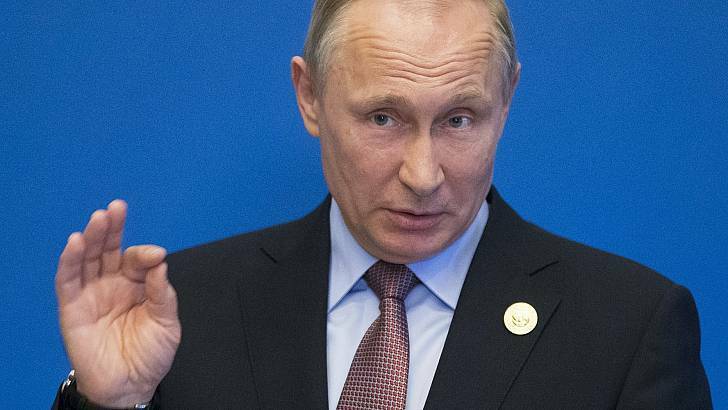 The conservative reaction has been to denounce this as a dictatorial action from Obama. If these people are so concerned about potential abuse of Executive power, where were they during the Bush years when Republicans backed the Unitary Executive theory which would greatly expand the power of the President (or during the Busy years, the Vice President)? Strange that they are complaining so much about a delay in the employer mandate when they have been predicting such dire consequences of the mandate. The reason much of this, right or wrong, is being done by executive order is that the system is broken. We know whose fault that is. Congress has voted, at last count, 47 times to repeal the Affordable Care Act but the Republicans are not willing to work on fine tuning the law as would normally be done after such a huge law was passed. POTUS about to make statement regarding deal with Iran on nuclear program. Next Fox to accuse Obama of making deal to reduce risk of nuclear war in order to take attention away from Obamacare problems.